Slog through Snow, Blog into Spring. This time last week it snowed. Snow can be a big problem for elderly isolated people and stranded motorists but I defy anyone, when they open the curtains on the first morning after snow has fallen, not to gasp with wonder at the purity and beauty of the white blanket and the soft blotting out of normal sounds as if the volume of the world has been turned down. Magical! Roald Dahl wrote in one of his final books, ‘The Minpins’, published posthumously : “Those who don’t believe in magic will never find it.” I celebrate other marvellous things in my life at this time – books, snowdrops, chocolate, poetry, wine and a loving man. 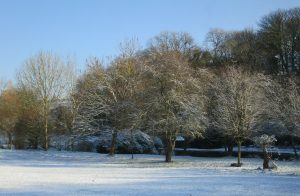 Whilst trawling back through my archives in this blog, I realise that my first post was in November 2008 – so I’ve been writing blogs about every other month for over ten years. What was I up to at that time? It seems that I was doing book signings for my collection of short stories called ‘Madness Lies and Other Stories’ which had been published in the summer. It was my first book and it took a couple of years to create the stories, so clearly I have been writing fiction for at least twelve years. Though for much of my life I’ve been scribbling stories, doing magazine articles, writing letters and keeping diaries. So what am I doing now? My fourth book, ‘Dear Magpies’ is completely finished after many edits, which took over a year because I work in the property business. (I have to find time for creativity in between dealing with leaking roofs and blocked drains.) The novel, which is a story about a woman with a tragic past searching for her lost grandchildren, has been sent out to a number of publishers and agents, who take forever to respond – if at all. It is a waiting game, full of hope and disappointment, but I will get it published – because it’s good. Various editors and friends of mine have read it and tell me so. This is the first Sunday in December and a poem beckons. I decide to read one of my favourites: ‘Sunday Morning’ by the American poet, Wallace Stevens. This poem was published in 1915 when the poet was 36. It is a long romantic poetic meditation and begins with a pleasant domestic scene where a woman lingers over breakfast with coffee and oranges. Some critics have compared it to paintings by Matisse. As the solitary figure contemplates beauty, death, and nature, she reminds us of the brooding loners in poetry from the Romantic period. Stevens begins by asking a few basic questions: what happens to us when we die? Can we believe seriously in an afterlife? If we can’t, what comfort can we take in the only life we get? He circles around these philosophical problems but finds no resolution. Humans might one day achieve an ecstatic union with nature, but for now the randomness and beauty of the world elude us. The final line is breathtaking. What an amazing poem! A week ago was my Birthday and I spent it travelling to Elba, an island of the coast of Italy, to attend a wedding. The day was a transition not only from one country to another but also from a head full of tiredness and turmoil to another, calmer and more reflective frame of mind. Were I a poet, I might have tried to capture how I felt in verse. I remembered a sensational ‘birthday’ poem by Dylan Thomas : ‘Poem in October’, which he started in 1941 but finally finished in the autumn of 1944 to celebrate his thirtieth birthday. He was born on 27th October 1914. I looked it up online and came across a YouTube clip of the poet reading his own poem – I am always surprised that there is no hint of a Welsh accent in his mellifluous voice. I listened all though and then read the poem. It’s so beautiful! On his birthday early in the morning, the poet walked from the fishing village of Laugharne along the silent sea shore. As he thinks of his birthday he recalls his childhood days and looks at the beauty around him. October stands between summer and winter; thirty is poised between childhood and maturity, past and future. 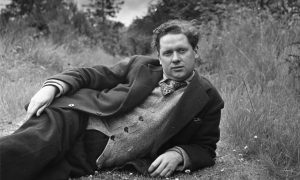 Dylan Thomas may have thought that the age of thirty was the high noon or high tide of his life, and may have had a reasonable expectation of reaching sixty. He was not to know that he would live only for another 9 years. He died of pneumonia on 9th November 1953, aged 39. His heart’s truth and his wonderful poems are still read and celebrated seventy-four years after he wrote this and, as one of the most important Welsh poets of the 20th century, Dylan Thomas will continue to inspire and delight us for years to come. My other half has decided to spend about three months this summer cruising in a small 32ft boat around the British Isles – some 2,500 miles. He has persuaded some other lunatics to join him at various points so he always has another person on board to help crew the vessel and to keep him company. I used to be a sailor but now I’m a landlubber so I am staying put and keeping the home fires burning – though this isn’t necessary as it’s one of the hottest, driest summers on record. The truth is – I’m working! I’m running the family business and also getting some writing done. I don’t have to produce daily meals and I don’t care if the house is untidy; I can eat and sleep as and when the mood takes me. Though I do feel somewhat solitary, I find it quite liberating to be on my own for a while. I even find time to do some gardening, and I am also doing some watercolour painting. 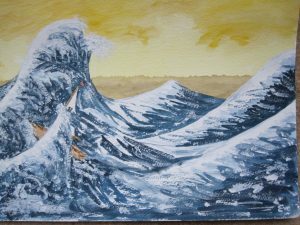 Here is a one I did recently, which is my version of the famous painting of a gigantic Wave by the Japanese artist Hokusai and which depicts graphically a nightmare I occasionally have about my husband and his boat – all at sea. I was driving along a country road in Somerset recently and I came across this delightful road sign, which I’ve not seen before. 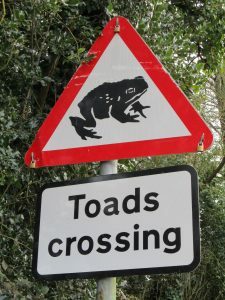 Ever since reading ‘The Wind in the Willows’, I’ve felt that toads were quirky, undignified and should be protected. I’m pleased to see that the highways authority share this view. I frequently see home-made signs outside houses or farms announcing: ‘Go Slow – Chickens Crossing Road’ or ‘No more Feline Fatalities Please – We now have 5 Cats instead of 9!’ Some years back, when driving my children to school, we passed a building site, and came across a large sign saying: ‘Plant Crossing’. My children were mystified, until I explained that from time to time large cauliflowers, huge carrots and mighty marrows marched across the road at this point. I wonder why they didn’t believe me! 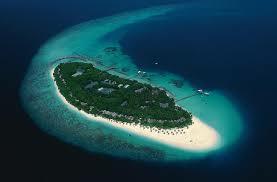 I have recently returned from a short holiday in ‘Paradise’ – or to be more accurate a tiny island in an isolated atoll in a wide ocean – or to be more precise: Fonimagoodhoo Island in Baa Atoll in the Maldives in the Indian Ocean. We spent a week on this delightful island, which measures approx 600m x 200m, encircled by a white sand beach and surrounded by a coral reefs dropping off into the deep blue ocean. The temperature was balmy, the sun beamed, the translucent water sparkled. Stunning! Attractive restaurants and beach bars supplied delicious food and enticing cocktails and we walked everywhere in bare feet on tiny sandy paths beneath luxuriant green vegetation and trees. Glorious! One morning, on our third day there, I was swimming along the outer reef from one end to the other in company with two others. After about an hour, I was two thirds of the way along, when I suddenly had a sharp pain in my leg. I realised I’d been bitten when I saw blood clouding the clear water. Then I saw this large yellow and grey fish (about 2½ft x 1ft in size) swim straight at me again, like an exocet, and this time he only managed a small bite, by which time I was flailing around and kicking trying to ward him off. Panic! My fellow snorkeller watched it all happen and wisely kept clear. The big fish made three more runs at me, by which time I was swimming in the opposite direction towards the shore. Fear made me move fast. 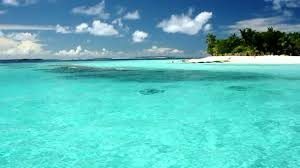 I soon saw that I was getting closer to the coral as the water became shallower (I had not come through the gap), so I had to slow down and swim carefully as the coral was a few inches below my body. Back on the beach, I was taken to the doctor on the island, and he told me that the culprit was a giant triggerfish, which is known to be aggressive and occasionally bites swimmers. Usually they just nibble away at coral with their sharp teeth. Mine was the worse bite he’d seen for a year, he cheerfully told me, as he stitched the wound. Painful! No more swimming, he said, and I should go onto antibiotics immediately. So no more alcohol either. Dismal! But he was kind and changed the dressing each day. I didn’t let the incident spoil my holiday – I read lots of books and sampled every single non-alcoholic cocktail on the island! The wound was sore and became infected, red and swollen. But its alright now and there’s an impressive scab! I discovered that Titan Triggerfish are often more aggressive than sharks, especially when you swim into their ‘cone’ – the space above their ‘nest’. They patrol it and when they see an intruder, they raise up their top fin (the ‘trigger’) and attack. I found numbers of videos on YouTube of triggerfish attacking snorkellers and nipping their fins. But none showed a triggerfish sinking its sharp teeth into someone’s leg! I’m told I must not blame the fish – it’s in their nature. Their nasty nature! Needless to say, back in the UK, the staff at my doctors surgery found the idea of my being bitten by a giant fish hugely amusing. I’ve found it raises a few laughs (but little sympathy) in the local pub. Why should it be so dreadful when a dog bites someone, and so very entertaining when a fish does? I’ve been snorkelling for years in many different places and successfully avoided stingrays, sharks, sea urchins, poisonous pufferfish and stinging coral. I’d never before encountered big triggerfish with their pointed teeth, but I shall keep well clear of them the future! I shall flaunt an elegant scar on my leg. Every scar tells a story. And I’m a storyteller. A quarter of a century has passed since my reprieve. I was lying on my back under a searingly bright light, alone. I had been dreaming of freedom and fervently hoping that I would outwit my enemy and come through unscathed. Doubt suddenly dispelled and I knew in that moment that my foe was dead. That’s what radiation does to cancer cells – it kills them. It can also damage healthy cells, but I was unaware of that at the time, and have had to live ever since with the side-effects. But I have lived! Three months before this moment of revelation, I had been told I had the dreaded big C, and needed a major operation without delay, where various internal organs had been cut out, and this was followed swiftly afterwards by a course of daily radiotherapy and further treatment. The physical assault on my body was nothing compared to the mental anguish. My moods swung between despair and hope, between anger and acceptance, but predominant was anxiety about how my husband would cope if I did not make it, and grief that I might not see my two children grow up; they were then aged 6 and 4. I loved them all so much and dearly wanted to live. When I finally managed to get my galloping fears under control, I decided to find out as much as possible as I could about my situation. I learned that I had a 50% chance of surviving for 5 years. I am an optimist and promptly decided I would be in the better half of this statistic. I also resolved to hit the enemy hard with all the ammunition I had and resort to every defensive tactic. In addition to conventional treatment – surgery etc – I deployed all the alternative medical options: meditation, visualization, exercise, high doses of vitamin C, homeopathy, and a diet designed to boost my immune system, which had taken a hammering. And I came through, and with every passing year and all the subsequent check-ups, I became more confident and more thankful. I have now survived not just 5 years but 5 times this. I’m still alive and well (often managing to ignore the peripheral neuropathy – pins and needles – in my feet 24/7, a legacy of having my sciatic nerve irradiated). Twenty-five years on, my children have grown up and I have two small grandchildren. At the onset I thought motherhood might be cut short and I never expected to be a grandmother – and what a blessing it is! All those years ago, when confronted with my own mortality at a comparatively young age, I didn’t know God. But He knew me and saved me. Fourteen years later I encountered Him, and repentance with faith has changed my life. Now I know that life is a temporary assignment and our home is in heaven. Now I journey with the Lord at my side and the fear of dying is gone. I am so thankful for the extra time granted to me – the ‘borrowed’ years have been sweet. Though we all know that human life is finite, the young feel they’ll live forever. Then as age creeps insidiously up on us, we stop deluding ourselves. Some people worry about their end, but not believers. I have recently witnessed the early death from lung cancer of a dear Christian friend, and she was completely at peace about it. No one need die alone – Our Lord is always with us and He is the way, the truth and the life. Dispel the doubts and grab hold of hope. With Him and in His love, we can look forward to eternity with confidence and joy. A year ago I retired from a long-term part-time job, which gave me plenty of time for writing. I intended to transform my life and re-brand myself as a full-time professional writer. So why have I written so little and had no time to edit my fourth book, the first draft of which was completed over six months ago? Much essential PEP (pruning, editing, polishing) is still to be done. The reason for the delay is that during the summer there’s been a significant change in my role and occupation. After a working life of several decades, and some years later than normal people, my DBH (dearly beloved husband) is to take AIR (active inspirational retirement). The DBH has decided to ‘boot himself upstairs’ and become Non-Executive Chairman (NEC) of the family business, whilst I have been promoted to the position of New Executive Director (NED). Board meetings will no longer be held in our bathroom at 0630 every weekday morning, but will now happen on 29th February. AGM’s will become DGM’s (Decadal General Meetings). Junior directors are invited to be present but discouraged from participation. The NED knows that discussions with the NEC about business will be limited to the hours of 1045-1115 and this only on the third Wednesday of each month. 0630-0730 The NED gets up, does household tasks, eats breakfast and is at her desk by 0800. 0830-1000 The NEC wakes up, listens to Radio 4, drinks tea, reads, rises, showers, and descends. 1010 The NEC has his breakfast, reads the paper, and prepares for the day. At 1120, he goes outside to the rear lawn to practice his putting with the aim of improving his handicap at clockwork golf. The cats, Oscar and Ella, (O&E) are banished from the rear garden at this time as they have a habit of racing after his golf ball and batting it away from the hole. Family and friends (F&F) are allowed to observe but not permitted to make comments. (If weather is inclement, the DBH practices snooker in the games room, to improve his chance of winning against his son). 1130 NED has finished with responding to the day’s batch of emails and opens the post, including a letter from NAS (the Non-Abbreviation Society), which informs her that she and DBH have been expelled from membership. This causes her no regret and she moves on to deal with more significant matters. 1315 DBH prepares his own lunch, pours himself a single glass of wine and at 1330 commences eating. 1333 approx. NED dashes in from the office, throws some food on a plate, wolfs it down and returns to work at 1400. 1430-1530 The DBH has his PLD (post lunch doze) in situ (in his kitchen chair) or, if fine, outside on the swing chair, during which time birds are forbidden to cheep. Guests and Grandchildren (G&G) are requested to keep silent during PLD. 1545-1715 Three times a week, the NEC works out on the rower, jogger and bike at his Weight Reduction Programme (WRP). On other days he takes a hike round the land. The NED is exempted from this activity but any G&G are encouraged to accompany him. On Saturdays this is obligatory. 1845-1930 The NED metamorphoses into Loving & Sympathetic Spouse (LASS) and prepares dinner. 1900 The NEC now becomes Amazingly Genial Husband (AGH) and pours drinks for her and F&F. Important: White wine must be no more than 12˚ in temperature and no less than 13% in alcoholic content. LASS frantically tries to serve dinner on time. 1930-2130 Dinner. Red wine, which was opened at 1800 to allow it to breathe, is served by AGH. 2140 AGH retires to sofa in Monks Room for PPN (post prandial nap) which may involve sleeping in front of the TV, when O&E are discouraged from jumping onto his lap and flexing their claws into his thigh. 2150-2230 LASS retires to bed, sliding swiftly into sleep. Anytime from 23.10 until 0140 AGH wakes and goes into PAD mode (perambulation around drive) where, unobserved (except by nocturnal O&E), he muses on life, gazes at stars and hugs trees. Sometimes owls hoot. AGH then quietly locks house and goes upstairs to bed without disturbing sleeping LASS, G&G and F&F. It is important to remember that timings are rigidly adhered to. The ROOL (rhythm of our life) must be carefully preserved. We have shared this schedule with F&F so that when they come and visit, they will be able to slot in snugly with the new arrangements. My plan to become a full-time DPW (dedicated professional writer) has been placed on hold. But I live in hope. At last my voice is beginning to return to how it used to be, though it still sounds pretty ragged to me at times. I lost it back in April and I’m disappointed that it is still strangely hoarse. It’s been stressful, though whether the inability to speak has caused the stress or whether stress caused the speechlessness I cannot tell! All I know is that my voice has been weak and husky for three months. 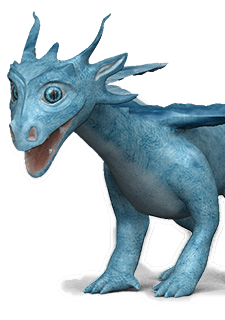 But that wouldn’t matter too much, as my friends and family are used to me sounding like an old scratchy recording, but unfortunately my Dragon speech recognition software likes me speaking naturally and it hasn’t taken kindly to me sounding like somebody with a dreadful sore throat. In short – it doesn’t want to listen to me! When I try to dictate, the words don’t appear on the page with the ease and speed that they used to. My dragon has gone on strike! And I can’t blame the poor creature. I find it difficult to listen to myself. I shall just have to type what I write as I used to do. But I miss my dragon. 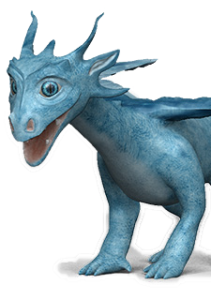 I’m sure that when my voice returns to normal, the dragon will recognize that an old friend has returned and obliging reproduce my words electronically. If not, I shall breathe fire! © 2019 Eve Bonham. All Rights Reserved.